Even before the smaller XE has gone on sale, the first details have emerged of the all-new Jaguar XF saloon. The lighter and more fuel efficient model has been formally unveiled at New York’s motor show before UK deliveries begin in autumn 2015, although the order book’s open now. 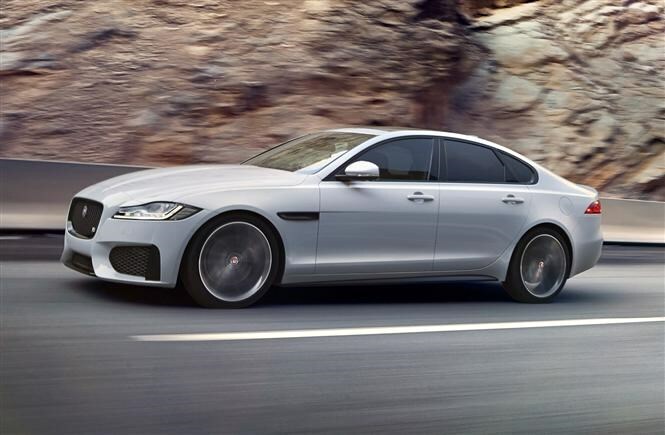 Thanks to a 75 percent aluminium-intensive structure, Jaguar claims the new XF is up to 80kg lighter than its closest competitor, as well as 190kg less than the previous-generation model. 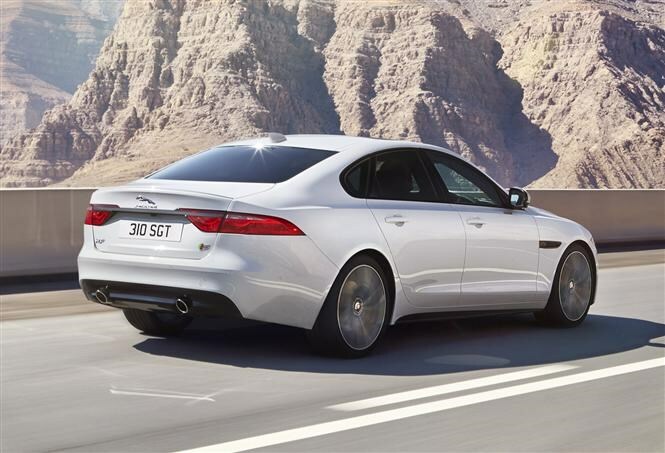 Its impressively aerodynamic body – the drag coefficient is a slippery 0.26 – is a stylistic evolution of both the outgoing XF saloon as well as the crisper lines found on the smaller XE. The overall result is more conservative than the old XF, but still recognisably Jaguar in its design cues. 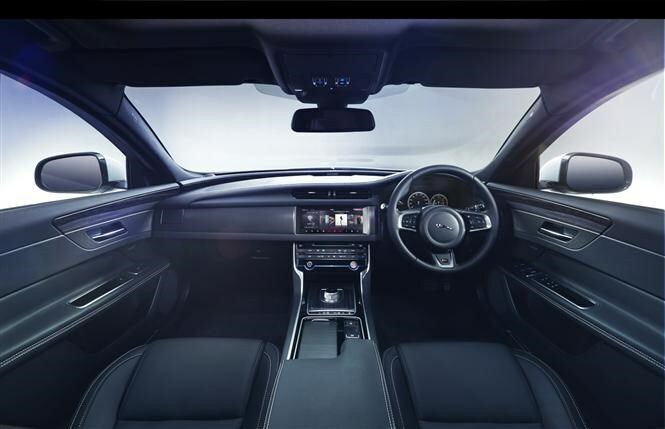 Inside, Jaguar continues to meld traditional quality craftsmanship with contemporary technology. Out goes the dated touchscreen from the previous generation XF, its place on the minimalistic dashboard replaced by a larger 10.2-inch ‘InControl Touch Pro’ infotainment system. Conventional instrument gauges have given way to a configurable 12.3-inch display immediately ahead of the driver, while fans of those revolving air vents will notice the outer pair continue their party piece. Blessing the new XF with inherent lightness means it offers best-in-class efficiencies for a non-hybrid car in this segment. Entry point for the latest XF range are a pair of 2-litre Ingenium diesel engines also found in the smaller XE model. Available in 161bhp and 178bhp guises – with 380Nm and 430Nm of torque, respectively – both units can be specified with six-speed manual and eight-speed automatic transmissions, the latter with the familiar rotary gear selector. That entry-level engine with the manual gearbox emits only 104g/km of CO2, with an impressive claimed fuel consumption of 71.7mpg. Choose the automatic version and those figures stretch to 109g/km and 68.9mpg, while both manual and automatic versions of the 178bhp engine are rated at 114g/km and 65.7mpg, respectively. Both of the 3-litre V6 engines available at launch – the 296bhp twin-turbo diesel and the 375bhp supercharged petrol – are exclusively fitted with the eight-speed automatic gearbox and only come in range-topping S specification. Jaguar claims the V6 diesel will return 51.4mpg and 144g/km of CO2, yet can still complete the 0-62mph acceleration test in just 6.2 seconds. Unsurprisingly, the supercharged petrol’s quicker still – 5.3 seconds for the 0-62mph run – but efficiency suffers, confirmed by quoted figures of 34.0mpg and 198g/km of CO2. 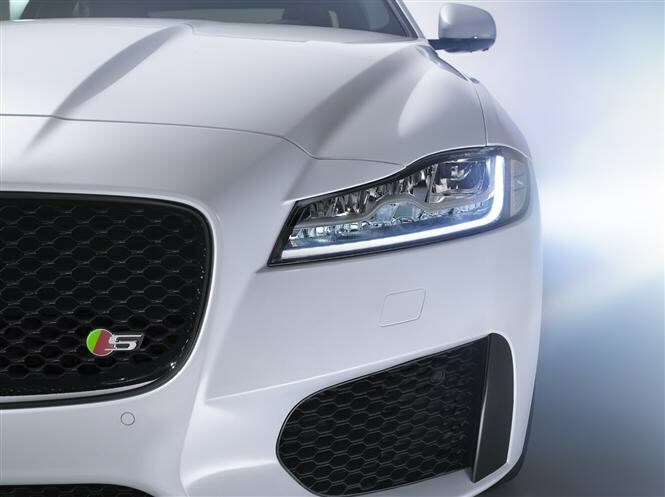 Details about the replacements for the high performance XFR versions aren’t expected imminently. Fractionally shorter and lower than before, the new XF’s wheelbase has grown by 51mm which Jaguar claims provides class-leading room for rear seat passengers. Boding well for the XF’s handling is confirmation that the new Jaguar has a near-perfect 50:50 weight distribution front to rear, with enhancements made to its electric power steering system as well as a choice of both conventional and adaptive suspension systems. 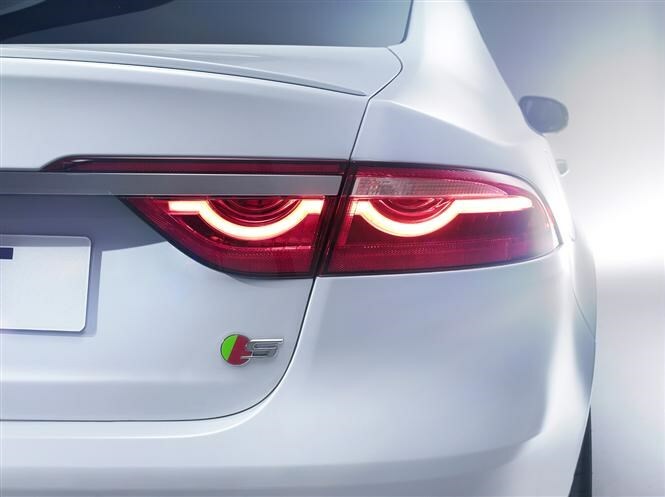 The latest XF also promises to be Jaguar’s most technology-rich car to date, boasting an ultra-fast Ethernet system to handle massive amounts of data across the car’s systems, a laser-based head-up display system as well as being the first model from the brand to offer full LED headlamp technology. Jaguar has revealed that prices of the new XF are less than the outgoing model, starting at £32,300 for the entry-level 2.0d 163PS Prestige. Initially the XF hierarchy will consist of R-Sport, Portfolio and S above the Prestige specification. Given the success of the current XF Sportbrake estate, a replacement for that is likely to appear in 2016. We’ll be putting the new executive saloon under the microscope later this year when we discover if the new Jaguar XF will curtail the dominance of the Audi A6, BMW 5 Series and Mercedes-Benz E-Class in the executive car class. 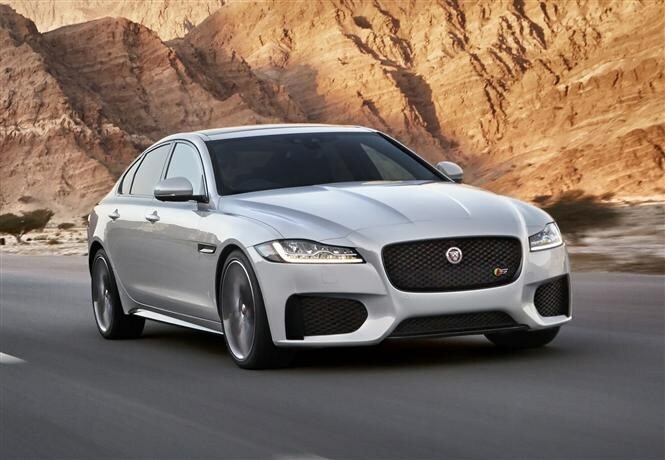 Did you know the most popular review for the XF range is the Jaguar XF Saloon review.